Qi-Guang joined the Henry Goh family in 2009. 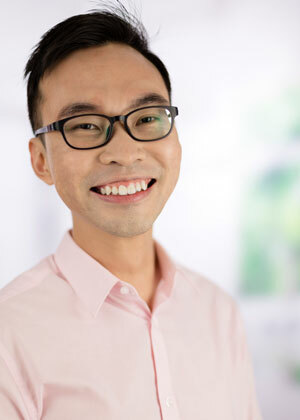 He holds a masters degree in chemical engineering and management from The University of Sheffield, United Kingdom and was registered as a Malaysian patent and industrial design agent in 2012-2013. Qi-Guang specialises in the fields of engineering and chemistry and has garnered extensive experience in all substantive matters of intellectual property. His experience includes conducting novelty searches, prosecuting patent applications before the Malaysian IP Office, drafting patent specifications in various technical fields as well as preparing submissions of arguments and amendments in response to patentability objections during substantive examination. His portfolio includes major multinationals from the automotive, manufacturing and chemical trades. His academic background in chemical engineering has helped him muster extensive know-how in carrying out freedom-to-operate searches and rendering freedom-to-operate opinions, particularly in the pharmaceutical field, that has assisted his clients in their decision to introduce products into the Malaysian market. Qi-Guang has assisted both local and international clients in prosecuting overseas patent applications in many foreign jurisdictions which includes many major patent offices around the globe. He has extensive experience in filing industrial design applications both locally and internationally as well. Outside the office, Qi-Guang enjoys quiet evenings with a book in one hand, a cup of tea in the other and classical music in the background.